When you just can't simply put down the wine glass down. Get this funny statement hoodie for the wine lover in your life. They will definitely can't relate to something more in their life when they get hold of this. 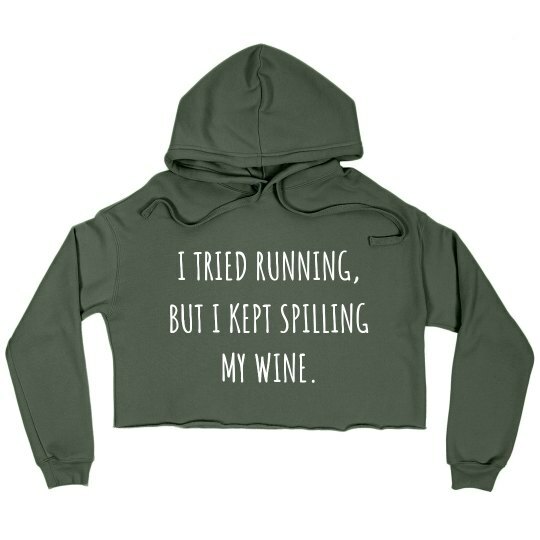 Custom Text: I TRIED RUNNING, | BUT I KEPT SPILLING | MY WINE.